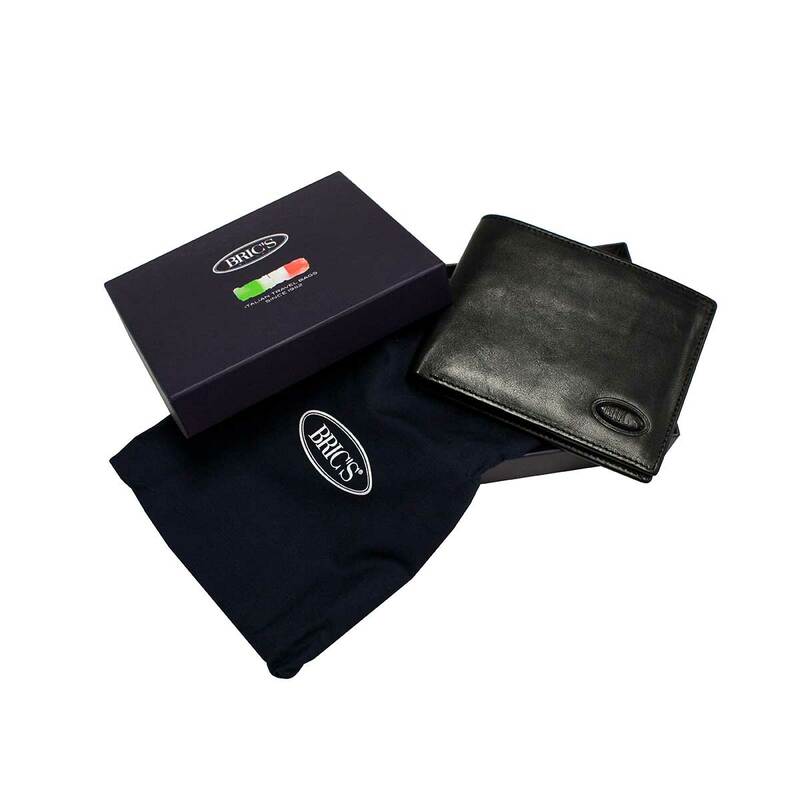 The horizontal wallet with ID from BRIC'S Monte Rosa Collection. 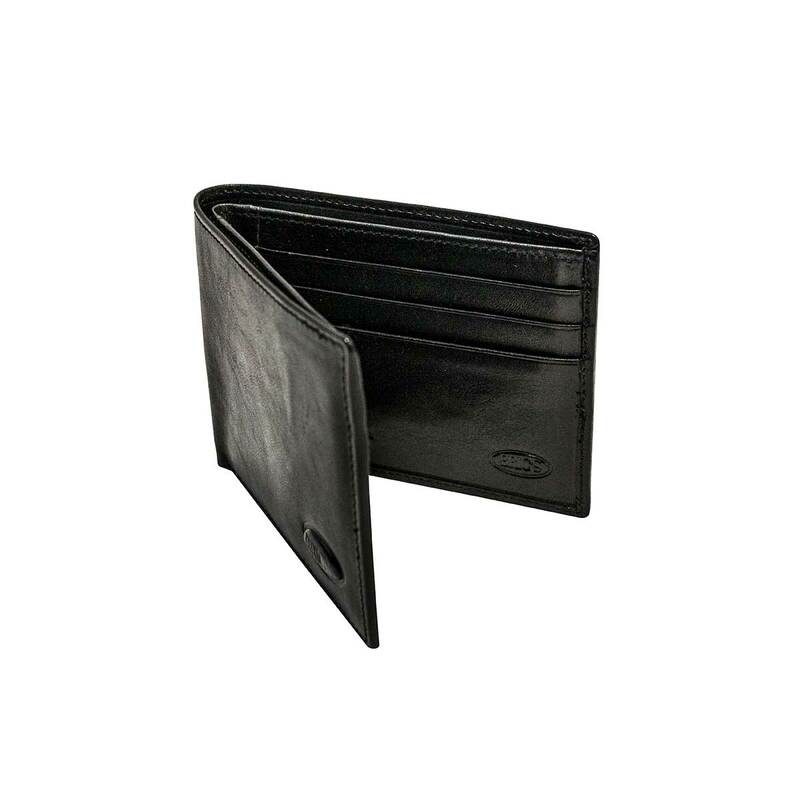 Made of vegetable tanned leather, featuring a slim design with multifunctional pockets on either side and an additional center pocket for added storage/organization. 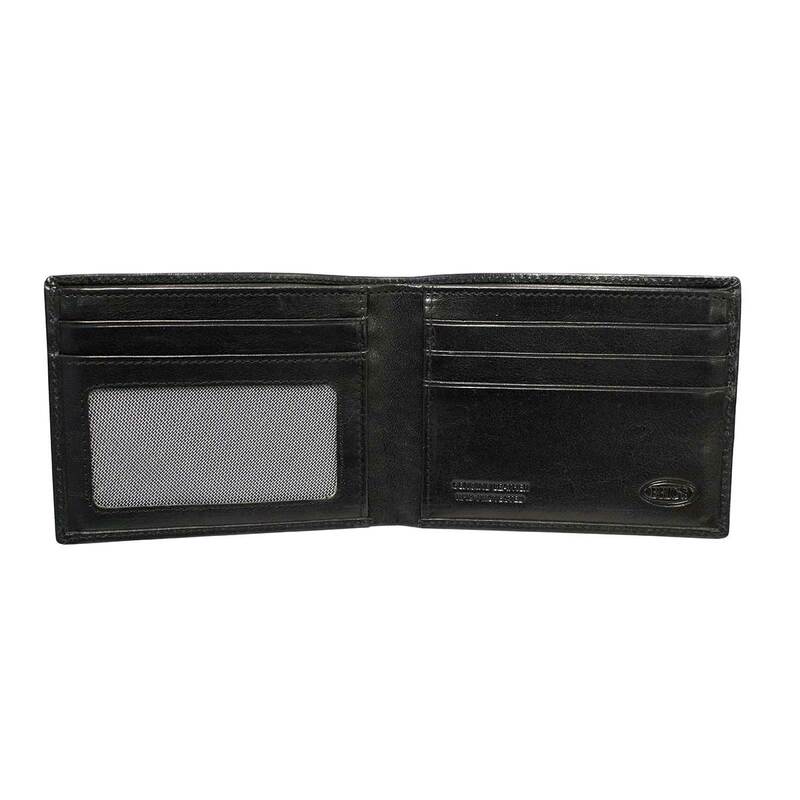 Additional hidden slots within the center can hold credit cards, business cards and/or IDs out of sight. RFID protected with unique BRIC'S lining. Monte Rosa Collection is crafted in vegeatable tanned leather. This collection includes 4 wallets, 2 slim card cases, a passport w credit card holder, and a money clip. 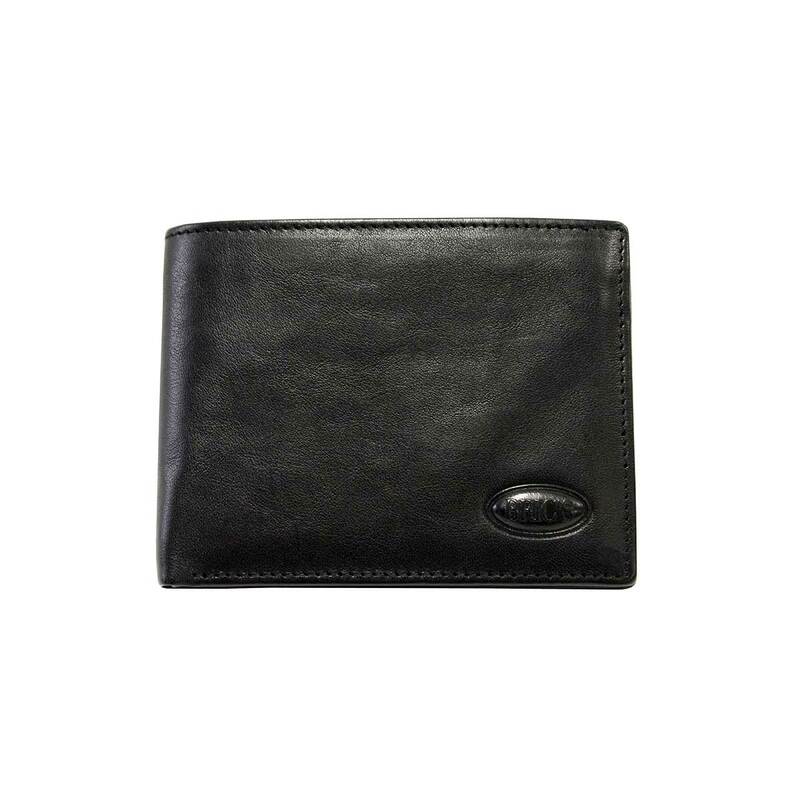 All items are offered in black, brown and/or tanned leather. Each piece is lined with our signature printed lining. Classic silouhettes and styles for all.